The gospel of Jesus Christ is at the center of everything we do. The ‘gospel’ is the good news that, through Jesus Christ, the power of God has entered history to rescue us from our sins at cost to His own life and to renew the whole world. In Jesus, God became man, lived a perfect life that we couldn't, died a perfect sacrificial death we deserved, and rose victoriously from the grave. In His death, he took our place, paying the penalty for our sins and experiencing the holy wrath of God once for all who believe. He rose again from the dead, claiming final victory over sin's power and presence, satan, and the final enemy, death. When we believe and rely on Jesus’ work and performance, rather than our own, we receive the free gifts of forgiveness, salvation and righteousness. We are given a new relationship with God, new life through the Spirit, a new identity in Jesus and a new mission for our lives. Our Identity: The primary identity of Jesus Christ, the Son of God, is revealed in His baptism. The Holy Spirit descends on the Son, and the Father proclaims “You are my son, whom I love, with you I am well-pleased.” This is the same identity we receive when we put our faith in Jesus. In that moment, we are united with Jesus Christ, and so we too are the beloved son and daughter of the Father, whom He loves, with whom He is well pleased (Romans 8; Ephesians 5:1-2). Our Mission: Being firmly rooted in our identity as the beloved of God, through Jesus Christ alone, we are compelled to go out into the world (both locally and globally) to share with others this good news. Jesus Christ commissions us when he says, “As the Father has sent me, so I am sending you (John 20:21).” Our mission is to be the Church together in our communities as “sent-ones,” who go into our community and our world, sharing the gospel and praying that it transforms them into Spirit-filled followers of Jesus who know that they are the beloved of God, through Jesus Christ alone. Our Message: The gospel of Jesus Christ is the core of our message. 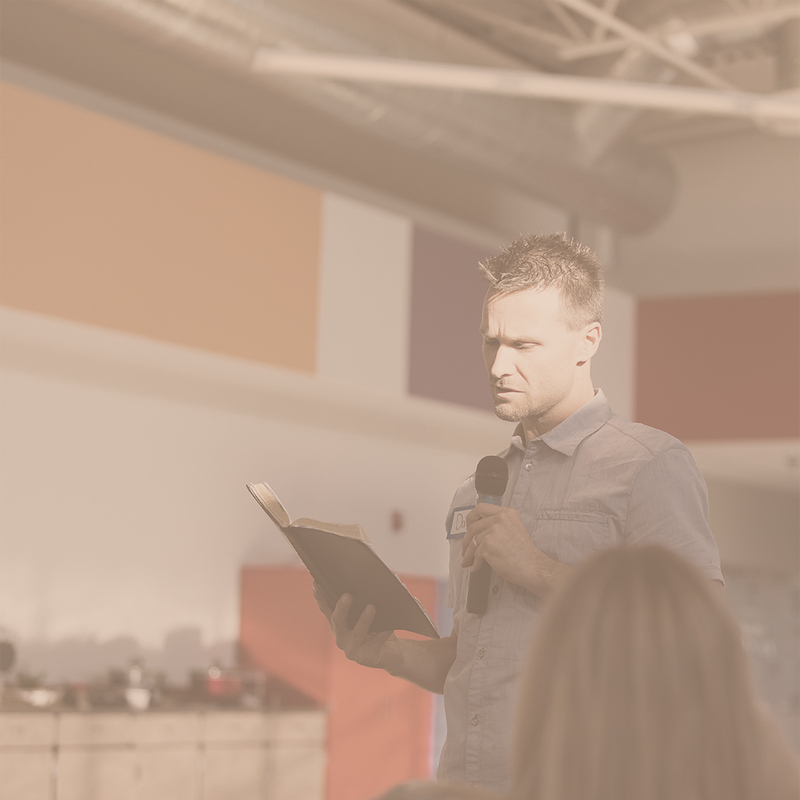 We are committed to preaching and teaching the entire Scriptures faithfully. Jesus taught that all of Scripture testifies about him (Luke 24:27). Therefore, our preaching and teaching will be centered on proclaiming Jesus Christ and His gospel. The gospel needs to be preached to both the unbeliever and the believer. For the unbeliever it is the power of God for their salvation. For the believer is the power of God as fuel for their on-going transformation from one degree of glory to another. We want to teach our people to preach the gospel to themselves daily, as they spend time in the Word and in prayer. The more our people behold Jesus in His Word the more they become like Him in their world. Prayer is simply a precious gift of total access to the Living God of the universe solely made possible by the work of Jesus Christ. As children of God, we now have access to His presence and power. In prayer we recognize our complete dependence on the Spirit to transform us into Christ’s likeness and to empower us to live on His mission. Being a people dependent in prayer shatters our self-reliance, self-dependency tendencies. Instead, we will be a people who boast in our weakness and rely fully on His perfect strength and grace in all things at all times. We rely not on our own strength. In prayer, we declare we are nothing and Jesus is everything, abandoning self in surrender daily in humility. At the same time, knowing our standing in Christ, we boldly come to the throne of grace seeking mercy and grace to help us in our time of need (Hebrews 4:16). We practice such dependent prayer weekly during the Gathering along with devoted prayer at our City Groups. We also want to teach and encourage our people to set aside a specific time and place each day to seek God in prayer. All of us are created to worship. We were created to worship the one and only true God, but in our sin, we have worshipped created things, rather than the creator (Romans 1:25). Through the gospel, our hearts are transformed, and we are rescued so that we can worship Jesus alone. Worship is not passive or a repetitive routine. Worship that is in truth and in the Spirit, is to be passionate, alive and expressive. We follow David’s example, who worshipped “before the Lord with all his might (2 Samuel 6:14).” We worship in Spirt and in truth. We want to do this in our gatherings on the weekend, as well as privately in our times spent with God. Worship includes, passionately engaging in praise, joyfully hearing the Word of God, gratefully participating in the sacraments, and cheerfully giving our tithes and offerings. Missions & Evangelism: Jesus had a passion for the lost. We must ask the Lord to grow us to have the same heart and passion as Jesus. Our passion is to see the lost come to a saving faith in Jesus Christ, both in our local communities and among the nations. We intentionally share the gospel, both with our lives and our words, as we go into our communities and to the nations. Mercy & Social Concern: Jesus also had a passion for the “least of these,” including the poor, the hungry, the orphaned, and others in extreme need. We are committed to being a beacon lighthouse to the community around us. We want to impact and bless our community by identifying and addressing the extreme needs all around us. As part of our strategy, we will seek to partner with existing ministries and community organizations to most effectively meet the needs of the community in sustainable ways. Radical generosity: Jesus gets us to give every aspect of our lives with radical generosity. Knowing the “the grace of our Lord Jesus Christ, that though he was rich, yet for your sake he became poor, so that you by his poverty might become rich (2 Cor. 8:9),” we are moved to radical generosity, so that others may be blessed and ultimately give thanks and glory to God with our time, talent, treasure and overall life. Church planting: We are a church committed to reproducing and multiplying. The goal of our mission is for the expansion of the Kingdom of God, not merely our local church. We want to be a church that plants churches that plant churches. We want to recruit, train, and support other pastors, leaders, and core team members to be on mission through planting of local churches throughout the US and the world. This is the ethos of our ministry. Our God is a relational Triune God. Part of being created in God’s image means that we are created to be in a living, dynamic relationship with God and with one another. Our ministry flows from people who are in relationship with God, and seek out authentic, vulnerable, Christ-centered, caring relationships with others. Christ gave us this relational model, in the way he poured himself out to his disciples, in the way he dined with sinners, and in the way he loved those around him. We want to model this same relational ministry. Community & Conformity: We seek to do life together the way the early church modeled community (Acts 2). We want to be intentional about sharing our lives with each other through sharing a meal, gathering around the Word, prayer, sharing our gifts to serve one another, confessing sins to one another, and being encouragement, generous, and graciously pointing one another to behold Jesus more and more. We will do this through City groups that will meet regularly. We believe that a significant part of true conformity happens as believers do life together and are on Christ's mission together within the natural rhythms of life.